The Abbe is thrilled to welcome Eli Mellen to the staff as our new Office and Database Manager. Eli grew up in Washington D.C. and moved to Mount Desert Island to attend the College of the Atlantic, where he received both his Bachelors and Masters degrees in Human Ecology. 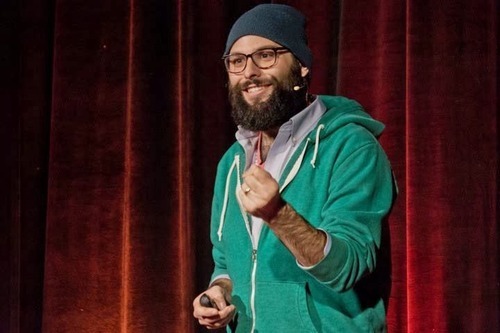 His senior and graduate theses both explored the design of systems that cultivate and encourage connection and communication with a focus on building community. He bring experience working on MDI by way of College of the Atlantic, the Naturalist’s Notebook and A&B Naturals and also works as a freelance designer. Eli was recently named a Treehouse Fellow and presented at TEDx Dirigo as a part of this fellowship. Eli will be taking over many of Johannah’s former responsibilities along with some of John Brown’s as he shapes this new position and offers his many talents and areas of expertise to the museum. Welcome Eli!